I’m so excited that I’m off travelling to Bali, Indonesia today!!! My fiance and I were there only 8 months ago which was our last proper holiday, but we loved it so much that we spontaneously decided to go back. We booked our tickets only 2 and a half weeks ago… I think that’s so cool and exciting doing fun impulsive things like this! 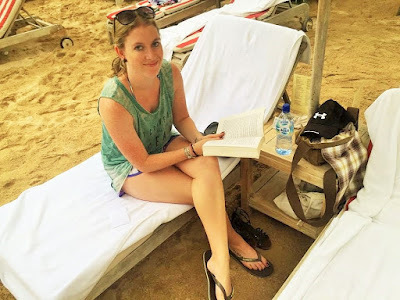 We both love to travel and as it’s mid-Winter here and my fiance has a bit of time off work, it was the perfect time for a quick getaway to unwind. We looked into a few options like Malaysia and Thailand as well, but they were a lot more expensive in comparison and take more than 13 hours flying time to get there. 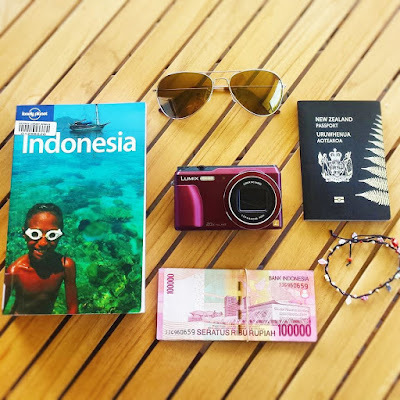 The great thing about Indonesia is that it’s so close to Australia- only 6 hours flight from us, so as this is just a quick trip and we want to mostly relax, we thought going back to Bali was perfect for us. I’m looking forward to it so much! 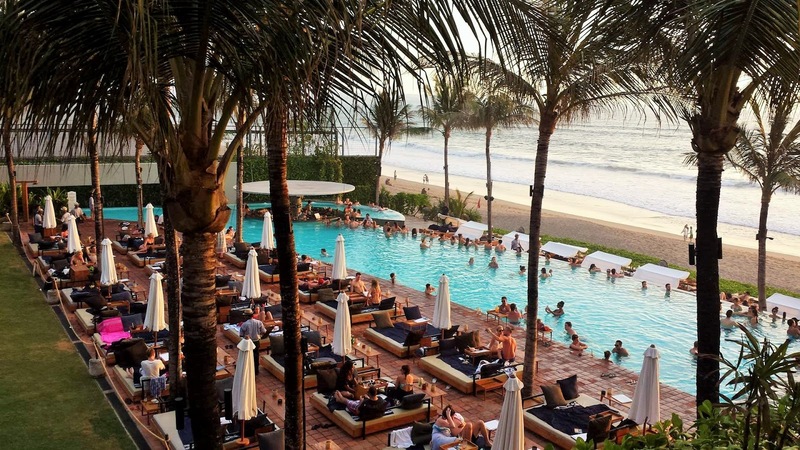 It’s a tropical Summer there year-round, full of great beaches, palm trees, friendly smiling locals, and most importantly delicious (and cheap) food and drink! 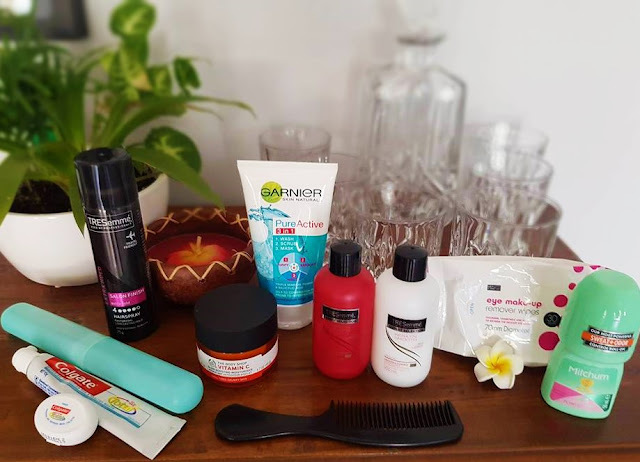 Here I share with you my Summer holiday packing essentials as I’m so excited, and writing about it fuels it even more! I include a few typical Summer holiday outfits and swimwear, as well as my essential travel items and products. As the weather is extremely hot and humid- light and breezy outfits are the way to go! I’m bringing with me three floaty dresses, shown below, as well as a couple of jean shorts and plenty of singlets to mix and match. Even taking a light cardy for the evenings is not necessary- it’s still hot and sticky even at night! (Thank god for air conditioning in our rooms). I’ll only be bringing one sweatshirt with me and that will be to wear on the plane! I find it easiest to carry all of my items from the hotel room- room key, sunblock, book, water, towel etc. in a cheap canvas/carry bag. I’ll just throw on board shorts and a light singlet over my bikini and wear jandals to and from the pool or beach. 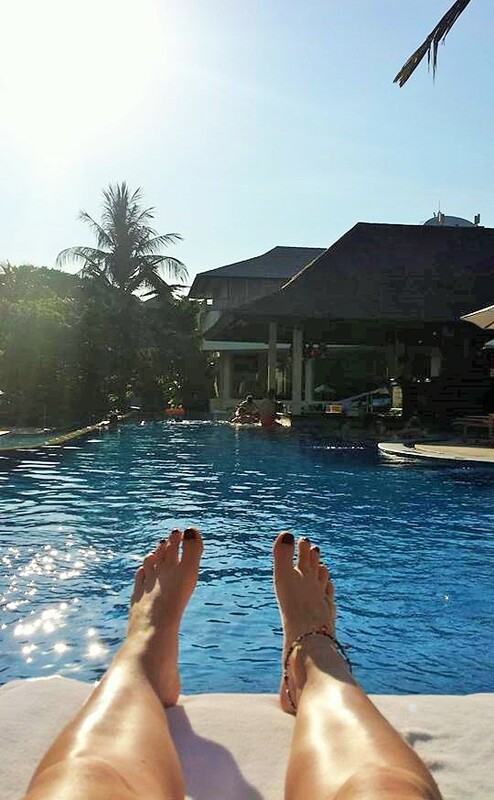 (Exactly the same as my picture below from the last trip to Bali- apart from I’m wearing his jandals in the photo for some reason and mine are next to me- so ignore that!). 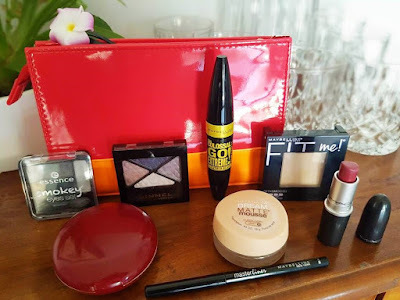 I like to keep it very simple when I’m on holiday and I also prefer to travel light, so I only take the essential make up, skin and bath products that I need. My make up all fits into one small cosmetic bag and my other products below fit into a medium-sized toiletry bag. 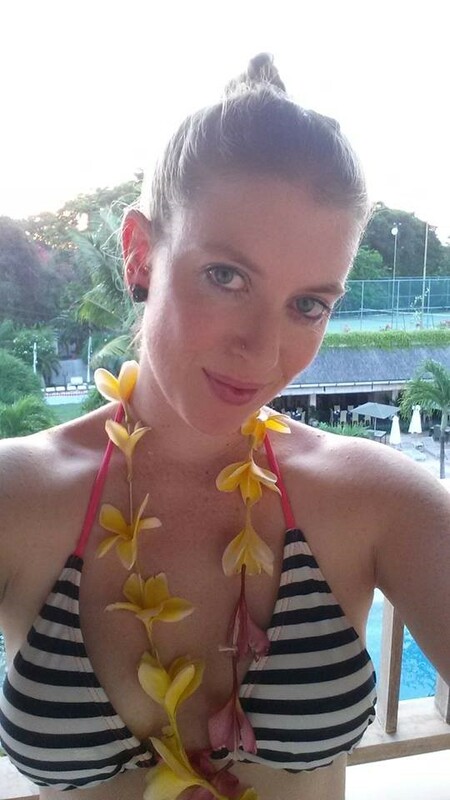 Cheeky selfie last time in Bali! And there we have all of my Summer holiday travel packing essentials and what I’m taking with me to Bali! No hair straighteners, laptop or heels. We are going for a simple relaxing beach holiday, with a few fun island explorations and cultural activities thrown in there as well. 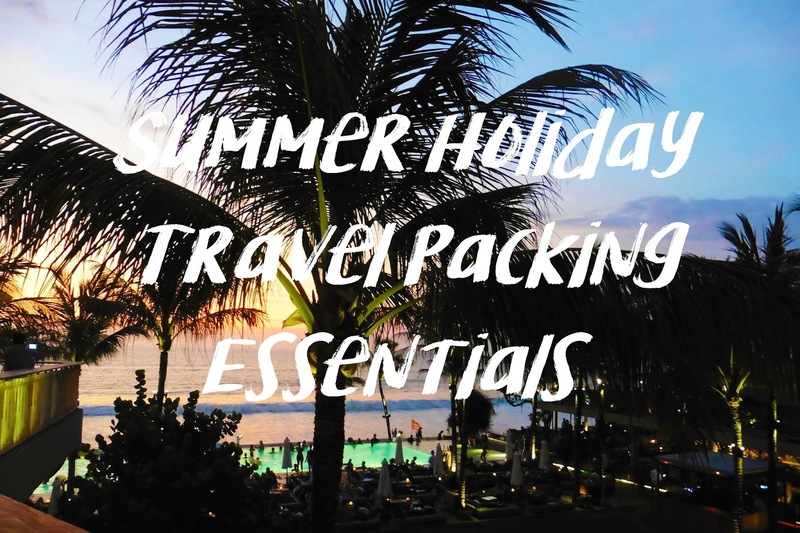 Thanks so much for reading, let me know in the comments if you have any other holiday essentials yourself or if you have a trip coming up that you’re looking forward to. This will be my last post for July as I don’t return until the 30th. Stay tuned for a Bali Travel Diary post about what I got up to along with plenty more pictures.